E-commerce refers to the use of the Internet to market, buy and sell goods and services, exchange information, and create and maintain web-based relationships between participant entities. It also involves payment accomplishment of the goods and services via an online platform (electronic means). Based on its demonstrated impact in industrial retail markets, e-commerce is believed to have the potential to increase profitability in agricultural markets by increasing sales and decreasing search and transactions costs. But the concept of e-commerce in agriculture is still very new and based on the fact that agriculture inputs require live animals and very perishable items, it has remained a very tricky sector to adapt to an e-commerce platform. However, in a developing country, like Nigeria where approximately 70 percent of the population engages in agricultural production at a subsistence level, the need to make the supply of agricultural inputs readily available is paramount to solving common problems faced by farmers. 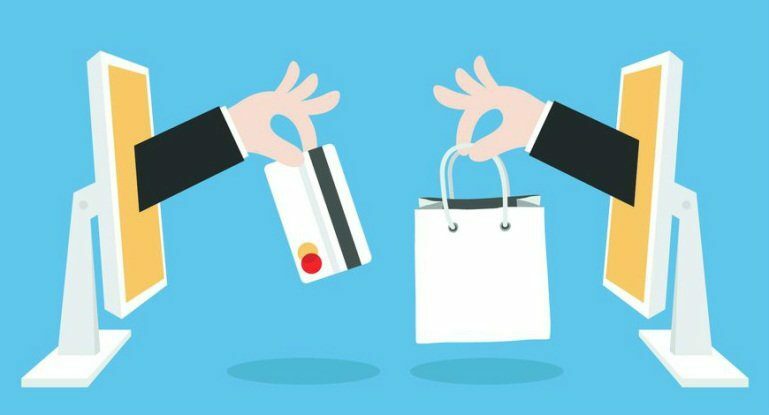 E-commerce presents an advantage to both consumers and sellers. It eliminates unnecessary middlemen and inventory, and thus makes it easy for a seller to pass on the benefits to consumers, or in the case of Afrimash, farmers at low prices. For customers, easy delivery becomes an advantage with low prices and easy accessibility while, on the other hand for sellers, cross-boundary selling gives multiple benefits, thereby making it a savior of search reduction and negotiation costs as well. E-commerce has been hailed by many as an opportunity for developing countries to gain a stronger foothold in the multilateral trading system. E-commerce has the ability to play an instrumental role in helping developing economies benefit more from a trade, connecting farmers and agripreneurs in Nigeria to customers all over Nigeria and even beyond. The only pre-requisite is a well-designed web storefront to reach customers, which Afrimash already has running. Another advantage provided by e-commerce is that it allows for better and quicker customer service. Top notch customer care is non-negotiable, as trust must be built via chats and calls. At Afrimash, we have a team of friendly and polite customer experience team. Customers could have direct access to their own personal accounts online and can avoid calling companies on the phone. This can save both time and money. This means the customers can simply go online and place their orders and have their products delivered, taking out all form of stress and extra expenses. In Nigeria, one of the trailblazing organizations that are pushing the boundaries in combining agriculture with e-commerce is Afrimash, the #1 online destination for farmers. With a very simple yet comprehensive and interactive website that are easily assessable via any internet enabled device, farmers all over Nigeria and beyond have the option of getting farm inputs from the comforts of their homes/ farms or offices and having it delivered within 5 working days. Apart from the website, Afrimash is also easily accessed via Facebook, Instagram, and even Whatsapp. The order cycle at Afrimash is so simple and takes less than 5 minutes to complete. The customer logs in to www.afrimash.com, previews our product range and categories, adds preferred items to cart, updates required information and shipping details, and then checks out. A successful order involves a completed checkout process and linked payment (processing orders). The supplier gets automatically notified and ships the product to Afrimash (for routine inspection and verification). Afrimash dispatches the order via the selected logistics provider and notifies the customer on the expected date of delivery. The logistics partners ship and deliver the order to the customer. Afrimash follows up on the order throughout the entire cycle and confirms with the customer for successful deliveries, constant feedbacks, and aftersales inquiries. Afrimash combines e-commerce with off-site support and local knowledge to solve the problems of inadequate input for farmers. Web/mobile access from anywhere (Unique booking system forconvenient shopping). Access to a fully optimized seller dashboard showing orderreports, products, store rating, etc. So instead of worrying and wasting time, energy and money, why don’t you join this revolution and let’s take agriculture to greater heights. Head over to www.afrimash.com and start ordering. Happy shopping online!